Believe it or not, there are plenty of intriguing museums emphasizing the rich history of the city scattered between all the flashing neon lights and giant billboards. For those curious about learning more about the origins of Las Vegas' gaming industry without having to step foot inside a casino, make sure to check out the Neon Museum. This is where you can tour around the city's largest collection of the famous lights and signs accumulated from the golden days of Las Vegas gambling during the 1950s, and learn a few stories regarding the construction and business backgrounds of these once-iconic attractions. Speaking of Sin City, one of the more edgy museum experiences you can indulge in during your Las Vegas holidays is a trip to the Mob Museum. For those unaware, the mafia had quite a presence and influence upon the origins of Las Vegas, and the Mob Museum is the place to be for learning more about the history of both famous mob families and law enforcement names alike. This museum is included on the list of the U.S. National Register of Historic Places, and is the headquarters for learning about some of the most notorious criminals in U.S. history, such as Al Capone, Bugsy Siegel, Frank Costello and more. There are also more conventional forms of education available to explore in a few Las Vegas museums. The Nevada State Museum, Las Vegas is an excellent resource for learning more how the entire state of Nevada came to be, from learning of the original Native American inhabitants to the state's involvement in the testing of atomic bombs in deserted deserts during World War II. The Las Vegas Natural History Museum is a great place to tour around with the kids, as exhibits range from exploring the history of ancient Egypt and its mummies to replicas of giant dinosaurs that used to roam the state of Nevada millions of years ago. 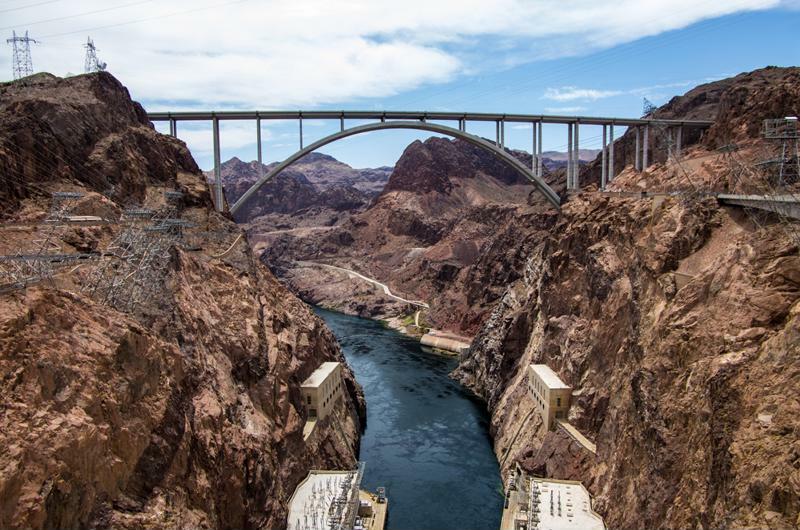 Hoover Dam is one of the iconic sightseeing attractions just outside of Las Vegas. While it may be hard to tell when taking a stroll down the strip, there are actually plenty of incredibly scenic locations to explore around Las Vegas. One of the most beautiful areas you can explore without travelling too far away from Sin City is the Red Rock Canyon National Conservation Area. This National Conservation Area is roughly a 25 kilometre drive away from downtown Las Vegas, and features endless opportunities to engage in an afternoon full of hiking, rock climbing, horseback riding, off road biking or even having a picnic while watching an incredible Nevada sunset. There are more than 800 square kilometres of government protected land to explore around these parts, providing visitors a perfect getaway from all the hecticness of downtown Las Vegas. If you're up for a little more of a trip, you can venture out to Hoover Dam, which is just under 50 kilometres away from Las Vegas. Millions of visitors flock to this attraction every year to see the largest manmade reservoir in the U.S. in person, and there are guided tours throughout the year that allow visitors to not only get a peek of what it's like inside the giant facilities, but also learn more about the rich history that went into the construction of the Hoover Dam. Tours tend to be one hour long, and tickets do sell out quickly, so plan on getting there early if you're curious to witness this massive attraction in all its architectural glory. Once you've properly soaked in all the wondrous nature surrounding Las Vegas, make sure to get a bird's eye view of the vast array of sparkling lights and shimmering signs of downtown by taking a trip to one of several aerial view opportunities. 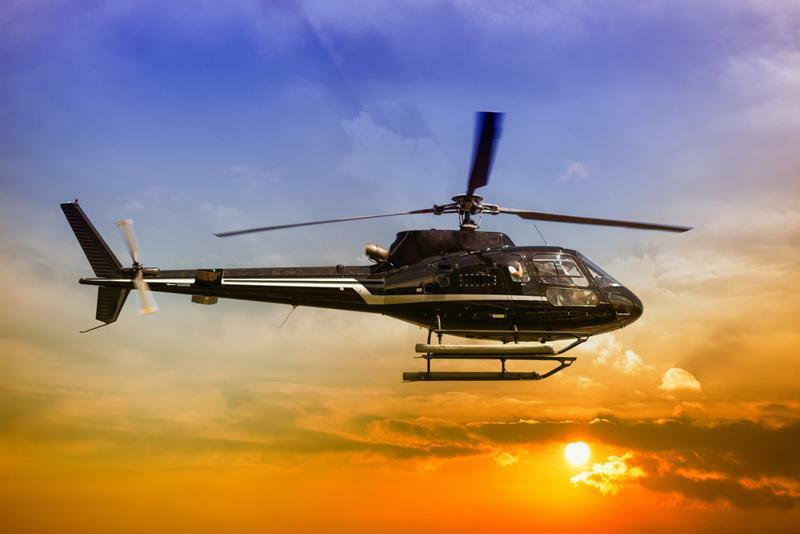 For starters, there are a few companies that offer helicopter rides that will guide you all over the downtown area, providing you with a one-of-a-kind view you'll be hard pressed to experience anywhere else. You can also go to the top of the Stratosphere Casino, Hotel and Tower, which is the tallest freestanding observation tower in the entire U.S., standing at more than 7,400 square metres high. Helicopter tours provide the most scenic opportunity to get a bird's eye view of downtown Las Vegas. Of course, not all the forms of entertainment in Las Vegas have to do with gambling. The big-time casinos in this city are also home to some of the world's most sought after concerts and shows, catering to all types of entertainment tastes. If you've never before treated yourself to the spectacular performances of O Cirque du Soleil, then you'll certainly need to enlighten yourself to some of the most jaw-dropping displays of acrobatic athleticism on the planet. Even if you don't believe in magic, you'll be convinced your eyes are deceiving you while watching a Penn and Teller performance. The famous duo blends humor with illusions during nightly shows that will have you laughing your heart out and pondering how exactly did they just do that. Finally, one of the hottest tickets on the strip is to see legendary singer Celine Dion in concert. Throughout most of the year, you can catch the famous "My Heart Will Go On" singer at Caesar's Palace, where her voice is more golden than the slot machine tokens. The Alps mountain range is one of the most magnificent and well known in the world, and the best way to be properly introduced to these spectacular boulders is a scenic drive straight through them. Klausen Pass is an awe-inspiring mountain pass taking you right into the heart of the Alps that can be accessed when headed south from Zurich. A great feature about the Klausen Pass is that there is a highway option nearby that tends to attract more traffic, so this strip of pavement is usually pretty deserted, allowing you for optimal cruise time. Typical sights you'll see along the Klausen Pass include cruising along elevated roads reaching nearly 2,000 metres as you swerve through various tunnels leading you directly past the enchanting mountains. You'll also go through evergreen forests, see dazzling waterfalls and there are a few cafes to stop at along the way, in case you need a quick break from all the wonderful scenery. 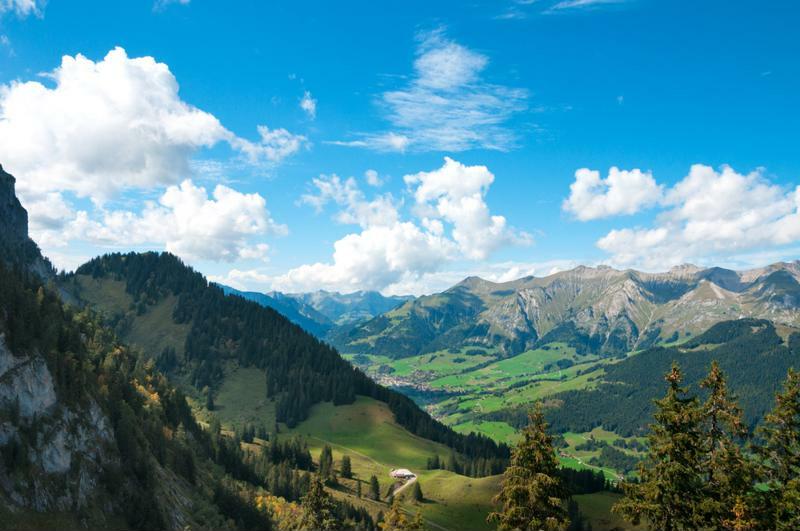 The Alps mountain passes provide one incredible view after another along the Klausen Pass. This famous route in Norway is just over 100 kilometres in length and is an ideal scenic introduction into the vast natural beauty of west Norway. Deep fjords, captivating mountainsides and plenty of sparkling cascades are common encounters along the Trollstigen National Tourist Route, as taking this highway nestled within the the wondrous countrysides of Norway's Rauma Municipality will provide countless photo opportunities. This road has been open to travellers since 1936, and frequent renovation of the roads has allowed for sufficient conditions when driving through steep mountain passes. The Trollstigen National Tourist Route will eventually lead you to Ørnesvingen, an excellent observation stopping point where you can park the car and get a glimpse of the alluring Geirangerfjord, home of the truly impressive Seven Sisters waterfalls. You can also head over to the Norwegian Fjord Centre, which is where you can learn more about the history of the famous fjords of Norway, as well as where to go to spot them all. Another essential European scenic drive can be experienced on Alpine Road, a 450 kilometre stretch of highway that takes travellers from the coasts of Lake Constance to the elegant landscapes surrounding Lake Königssee in the German state of Bavaria. With the incredible Berchtesgaden Alps looming in the distance, each turn along Alpine Road escorts you through countless charming villages that are all ideal to stop at and indulge in some exquisite traditional Germany meals. Your eyes will dart from all the array of entrancing colours that burst with every twist of the road, and once you reach Lake Königssee, prepare yourself for even more once in a lifetime views. 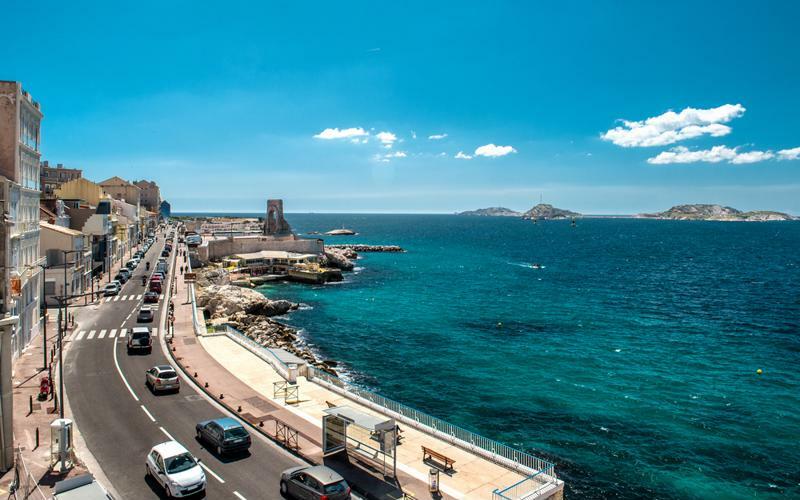 There are three primary highways that guide you alongside the immaculate French Riviera coastlines. Corniches essentially translate to a road that runs along a coastline that's cut into the edge of a cliff. Les Corniches roads are the essential route for exploring all the natural treasures that are abundant along the French Riviera in the southeastern region of the country. These three distinct corniches are divided among altitude, ranging from 35 metres above sea level up to 365 metres above the Mediterranean Sea. The higher road arguably provides the most chances to see the incredible glimpses of everything from the Riviera beaches to the towering Alps mountains over yonder, and you can even stop at the small town of La Turbie, where you can still see the Trophy of Augustus, still standing since 6 B.C. The lower altitude highways will guide you through more of the various cities and villages surrounding the French Riviera, providing one excellent resting point after another. 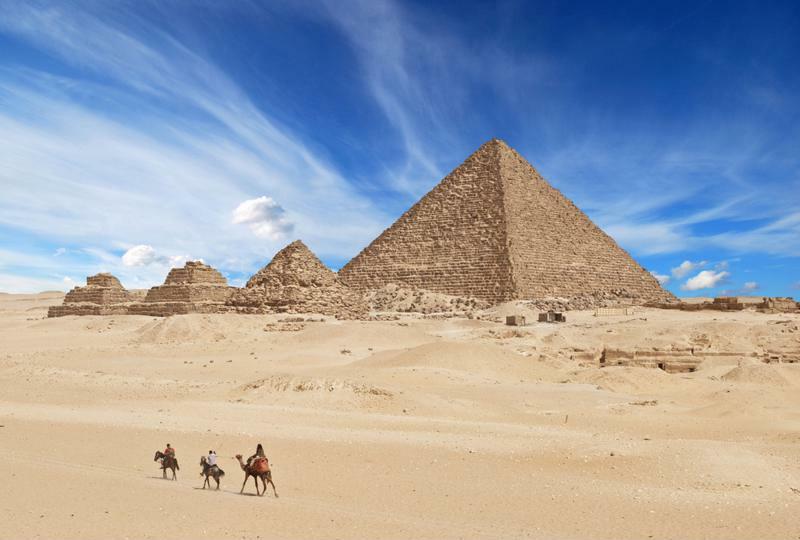 While you're probably aware of the historical significance of these iconic landmarks, it will certainly make your trip to the ancient Pyramids of Giza more awe-inspiring knowing some of the rich history behind its construction. For starters, the oldest and largest pyramid, and only one that's officially considered one of the original Seven Wonders of the Ancient World, is the Pyramid of Khufu, more commonly referred to as the Great Pyramid of Giza. Built during 26th century B.C., it has been estimated to have taken 10-20 years to construct the Great Pyramid of Giza, and at its original height of 146.5 metres, it was the tallest manmade structure in the entire world for nearly 4,000 years. With its estimated volume of 2.5 million cubic metres, experts have reported it would have taken installing roughly 800 tonnes of stone every day over the course of 20 years to complete. 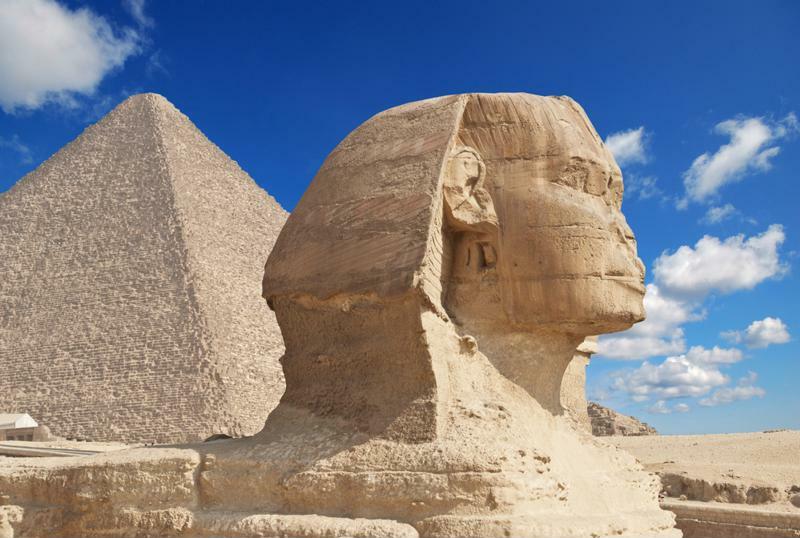 The Sphinx is one of the most awe-inspiring sights to see in person. Inside the Great Pyramid of Giza, visitors can tour the three distinct chambers that were created to honour the pharaoh Khufu and his wives. In addition to the Great Pyramid of Giza, the other two primary pyramids in this region are the Pyramid of Khafre, the second oldest and largest of the three, and the Pyramid of Menkaure, which rounds out the royal pyramids. You'll also be able to see the famous Great Sphinx of Giza statue that lies directly in front of the three great pyramids. Be prepared to plan out an entire day around this area, as there is plenty to see and cover throughout all of these structures. It's just under a 20 kilometre drive out to the Great Pyramids of Giza from downtown Cairo, and there are several options to consider for cruising out to the area. You can always take a taxi or other commercial driving service from Cairo to Giza, but be aware that most of these vehicles don't have meters inside, so you should always agree upon a price prior to taking off for the pyramids. If you're feeling fancy, you can take a limousine service out to the pyramids, and most of these companies have fixed rates, so you won't have any negotiation surprises once you finally arrive in Giza. If you're planning on visiting the pyramids with a professional tour group, they'll most likely have shuttle buses ready to take you back and forth between Cairo and Giza. Of course, a much cheaper route to consider is taking the public buses, which can be arranged at the airport or around downtown near wherever you're staying. In case you're unaware, Egypt is one of the hottest countries in the world to visit during its summertime. If you're planning on travelling to Cairo between May and September, prepare yourself for average high temperatures of at least the low 30s. There is also minimal shade provided around all of the pyramids, unless you're inside touring the premises of course. With all this in mind, water packs, sunscreen and hats are essential gear to bring along with you. Even during the other seasons, the humidity can still be extreme, so always take necessary precautions before arriving. Camel rides are a popular way to travel back and forth between each of the pyramids. You should try to get to the pyramids as early as you can, which will help you avoid both the crowds and the highest temperatures of the day. Be aware that while tour guides offer opportunities to check out all the smaller pyramids, there are only 300 tickets distributed daily for each of the three great Pyramids of Giza. Each ticket to individual pyramids will also cost extra to purchase, so be sure to bring extra cash prior to departing from Cairo. This means you should choose wisely which one to tour, as they tend to sell out fast. It's also important to note that getting back and forth between all the pyramids can be quite a trek, and there are other options than walking to all of the locations. Camel rides are extremely popular to do, but be warned – the camels, and their owners, tend to not be the friendliest encounters you'll experience. If you do have any problems negotiating with any workers around the pyramids, be sure to flag down an Antiquity Policeman to resolve any predicaments. It's important to remember that these ancient structures are thousands of years old, and are not necessarily all that accommodating for touring visitors. Keep in mind that entering the pyramids entails hours of walking around steep and narrow steps, and anyone who gets nervous from claustrophobia will certainly have a tough time dealing with the interior tours. If darkness and tight spaces may be a problem for you, it's probably best to staying outside of the premises. You should also make an effort to stick around at night, as every evening around the Great Pyramids of Giza concludes with a sound and light show centered around the Sphinx. The dazzling display is quite a way to finish an epic day of journeying through one of the most marvelous showcases of human achievement in the world. Anyone considering a trip to Berlin anytime soon should also mull over relishing the opportunity to spend the night in one of the most preserved night skies in all of Europe. Westhavelland Nature Park, located roughly 70 kilometres west of Berlin, was recently declared as the latest addition to the International Dark Sky Reserve list for providing more than 750 square kilometres of protected land completely unhindered by light pollution. This wetland is the largest protected area in the German Federal State of Brandenburg, and once the sun sets, prepare yourself for a dazzling array of stars in every direction you turn your head toward the heavens. 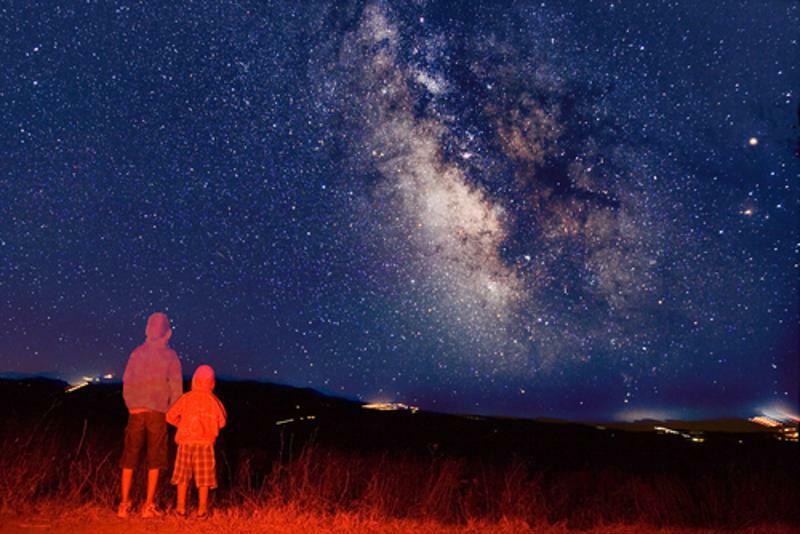 Each of these parks offer excellent chances to see the Milky Way galaxy above. Another member of the International Dark Sky Reserve is Kerry International Dark Sky Reserve, located in the southwest region of County Kerry, Ireland. The Kerry International Dark Sky Reserve is one of three members of the prestigious Gold Tier Dark-Sky Reserves in the world and is also the only Gold Tier Reserve in the Northern Hemisphere at this time. What does all that mean? That means visitors who stay the night will be treated with more than 700 square kilometres of nothing but pure starry skies. Nestled between the Kerry Mountains and the Atlantic Ocean, this is a pristine place to see the Milky Way, along with its nearest galaxy neighbor, the Andromeda Galaxy, only a mere 2.5 million light years away. Everything from nebulae to meteors can be spotted around the Kerry International Dark Sky Reserve, making it a must-stop experience when travelling to Ireland. Frank Sinatra once sang "let me see what life is like on Jupiter and Mars." While it's hard to say when mankind will officially answer that inquiry, you can certainly see Jupiter and Mars themselves during a starry night sky spent at Brecon Beacons National Park in South Wales. You can spot both of these planets without even using a telescope, and if you do have some equipment, look around Jupiter to see if you can spot the group of Jupiter's largest moons, known as the Galilean Satellites. The best part about attending this park is that there is even more outdoor opportunities available to partake in during the day. Brecon Beacons National Park is home to splendid mountain trails, forest hikes and wondrous scenery in just about every direction you look. But once the sun sets come the real natural treasures, as you'll be hard pressed to find a more starry night sky anywhere else around the United Kingdom. 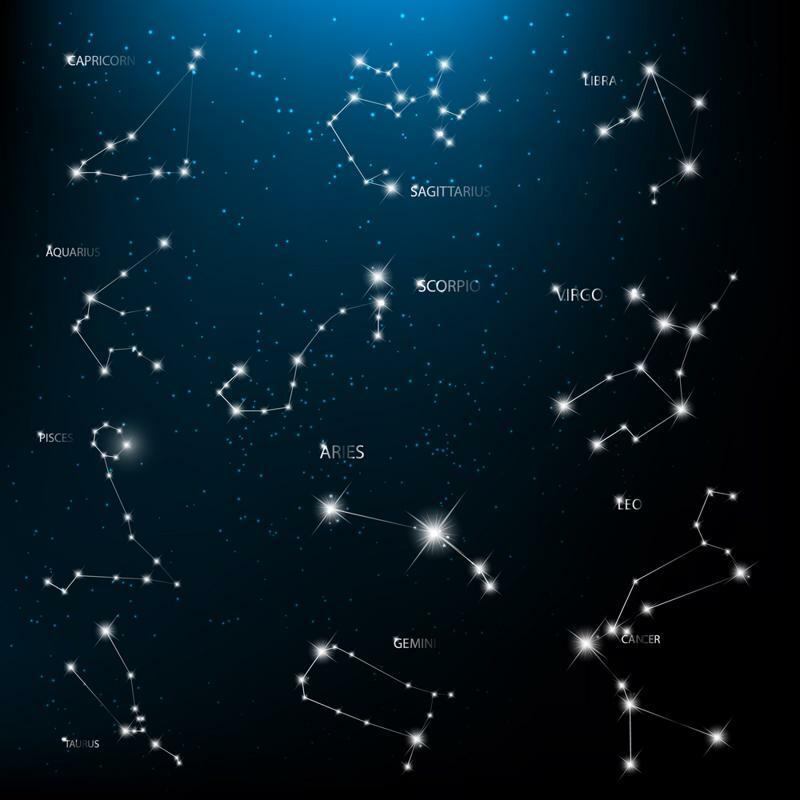 Be prepared to spot dozens of constellations during your stay at these places. The state of Utah is known as one of the most scenic areas to visit in all of the U.S., and one of the biggest reasons for that is the chance to see the Natural Bridges National Monument in person. This park gets its name from the beautiful three naturally formed bridges named Kachina, Owachomo and Sipapu that were formed from water erosion that flowed in the stream bed of these canyons. If you travel to the Owachomo bridge at night, you'll be able to see a perfect circle around thousands of stars clustered together, along with the enchanting Milky Way galaxy just above the bridge. Each of the natural bridges also has no traces of light pollution near them, so you'll be guaranteed to get an unfiltered look at the incredible star show above. Dog sledding as a form of transportation is a long practiced Alaskan tradition that allows travellers to encounter the northern wilderness by using man's best friend as the tour guide. No matter what time of year it is, you'll find plenty of dog sled tour companies available throughout all the major cities from Anchorage to Fairbanks that specialize in offering newcomers to the area this once-in-a-lifetime opportunity. These companies offer a variety of different excursions, ranging from family tours across the frozen tundra to more gentle journeys on land that cater to those travelling with younger members. 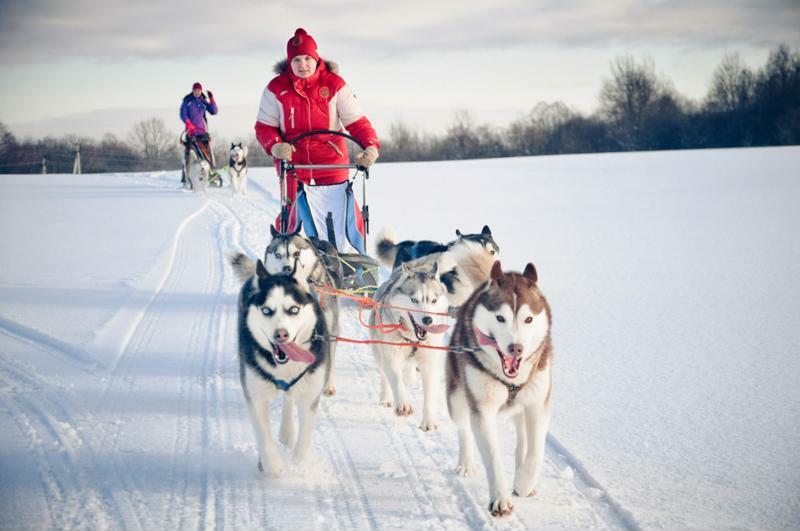 A typical dog sledding trip covers anywhere between 20-50 kilometres, depending on how long you choose to go, and will take you through one scenic mountain pass or countryside after another. Introduce yourself to the Alaskan wilderness with a dog sledding excursion. While the thought of getting anywhere close to the glacier waters of Alaska might sound a tad frigid to most travellers, it's hard to find a more awe-inspiring way to get in touch with Alaskan nature than through a kayak or canoe tour. Generally, the best places to embark on a canoe or kayak expedition in Alaska are any of the cities that border the Gulf of Alaska on the state's Southeastern coast, which includes anywhere from Anchorage to Juneau. You can find anywhere between one-day tours to week-long voyages, which can take you through the maze of magnificent glaciers while peering out onto the towering mountains and evergreen forests in the distance. Kayaking or canoeing is also one of the best ways to go wildlife spotting, as certain tours promise a high likelihood of encountering whales in the water, or at least bears or buffalo herds near the shoreline. If you're looking for a means to encounter the Alaskan wilderness at your own relaxed pace and leisure, than you'll probably want to consider taking on a hiking trail. The best and safest spots for going for a stroll amidst the pristine natural beauty of Alaska are any of the national parks that are spread throughout the state. If you're visiting Anchorage, you should definitely check out Wrangell-St. Elias National Park, which has dozens of scenic hiking trails and itself is bigger than the entire country of Switzerland. One the most popular and beautiful hiking trails in the entire state of Alaska is the Chilkoot Trail, a 53 kilometre trail that ultimately spans from Dyea, Alaska, to Bennett, British Columbia. Besides all the impressive scenery you'll encounter along the way, there's plenty of rich history that went into the makings of this trail. More than 30,000 people braved their way along this route during the height of the Klondike Gold Rush in the Yukon Territory during the late 19th century, with many ultimately falling victim to the treacherous conditions along the way. But fear not, travellers, as there are many resting points along the way as well as multiple national parks to stop by and explore if you ever need a break from the trail. Starting April 1, 2015, passengers will no longer be able to wander into a Qantas lounge fresh from the seashore in a wet swimsuit and jandals since the Australian airline will begin applying a dress code for their airport lounges. The lounge staff will enforces the dress code and customers that are underdressed do risk the possibility of being turned away in the doorway whenever they don’t fulfill the standards.